In a country where “religion” is narrowly defined and strongly regulated, de facto religious activities vibrantly revived in the last three decades along with the steady growth of state-legible religions. The paper reviews the anthropological study of religion in the last three decades against the social, political, and academic contexts. 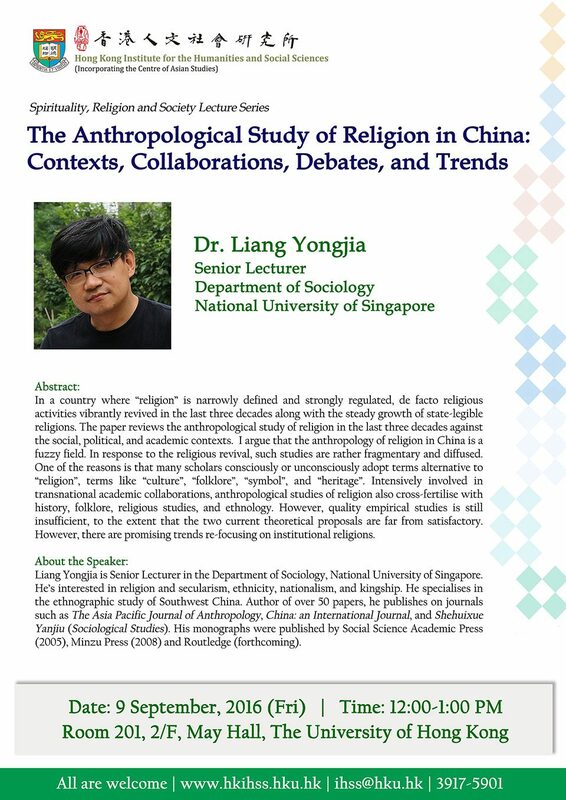 I argue that the anthropology of religion in China is a fuzzy field. In response to the religious revival, such studies are rather fragmentary and diffused. One of the reasons is that many scholars consciously or unconsciously adopt terms alternative to “religion”, terms like “culture”, “folklore”, “symbol”, and “heritage”. Intensively involved in transnational academic collaborations, anthropological studies of religion also cross-fertilise with history, folklore, religious studies, and ethnology. However, quality empirical studies is still insufficient, to the extent that the two current theoretical proposals are far from satisfactory. However, there are promising trends re-focusing on institutional religions. 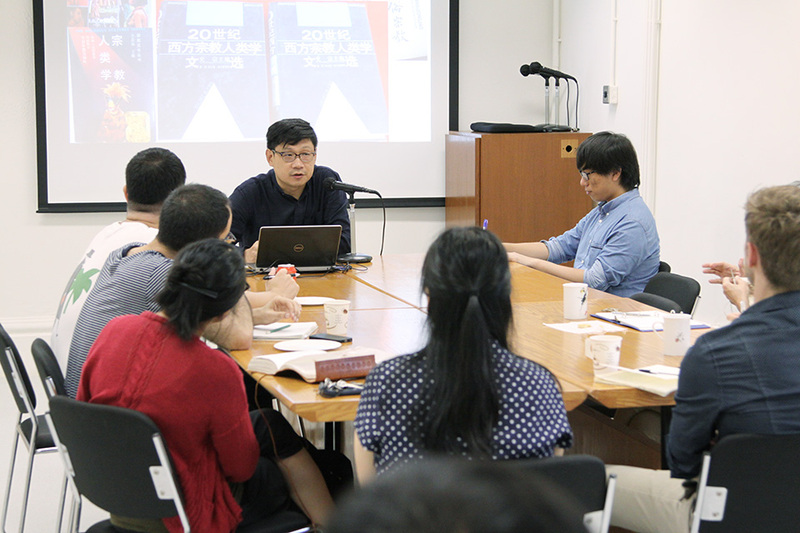 Yongjia Liang is Senior Lecturer in the Department of Sociology, National University of Singapore. He’s interested in religion and secularism, ethnicity, nationalism, and kingship. He specialises in the ethnographic study of Southwest China. 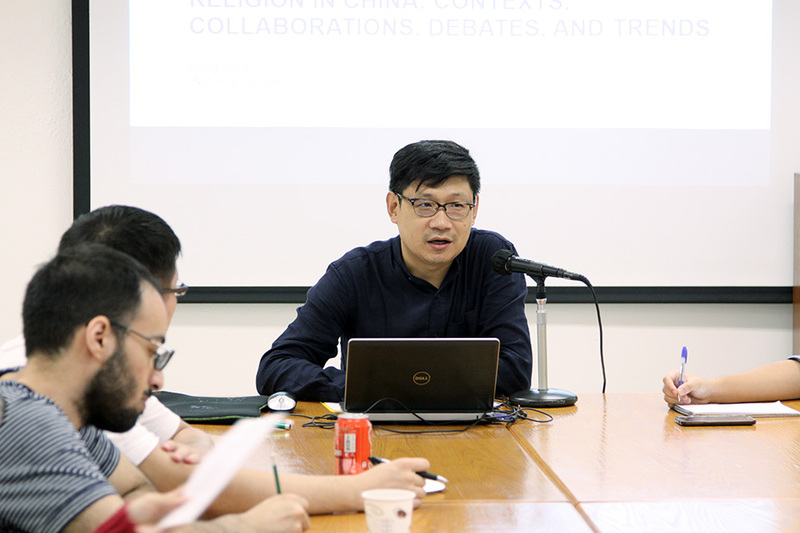 Author of over 50 papers, he publishes on journals such as The Asia Pacific journal of Anthropology, China: an International journal, and Shehuixue Yanjiu (Sociological Studies). His monographs were published by Social Science Academic Press (2005), Minzu Press (2008) and Routledge (forthcoming).